OSHA has released the top safety violations for 2011. It’s not a big departure from recent years, but still worth noting for industrial operations. How many of these potential violations are in areas that are present in your operation? OSHA releases this information in part to allow employers to do the kind of self-inspection and auditing that might help avoid issues. Most of these violations (and the injuries/costs that accompany them) are preventable. In particular, lockout/tagout issues are extremely vital for conveyor, robotics, and other machinery. In inadequately managed areas, employees may open or work on machinery without sufficient lockout/tagout protection. This is a highly dangerous practice as it spot on the list emphasizes. Obviously, wiring and electrical issues are pertinent to warehouse, manufacturing and assembly operations, where electrical work is frequently done. It’s a hazard both to workers on the job, and as a fire hazard. For warehousers, this may be the most pressing of these issues. Forklifts are ubiquitous and quite likely the most dangerous piece of equipment in any operation that uses them. Aside from the sheer number of accidents forklifts cause, they compound the problem by producing an out-sized proportion of injuries. Beyond that, they produce an even more significant number of serious injuries and fatalities. Ladder safety information, here and here. 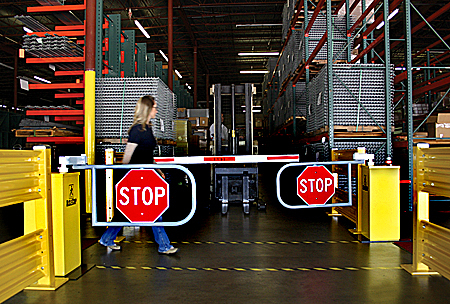 Many times, operations leave moving equipment such as robots, balers or palletizers unguarded. 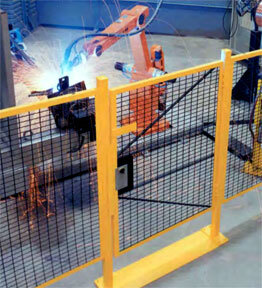 Machine guarding is relatively inexpensive and easy to install and work around. So as you look at your operation, what areas could you improve to avoid contributing to this list in 2012? More information and links to these rules at OSHA.gov.